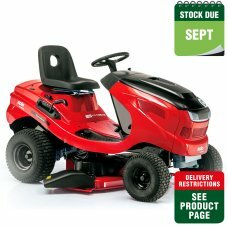 More Than Mowers has an extensive range of lawn / garden tractors. 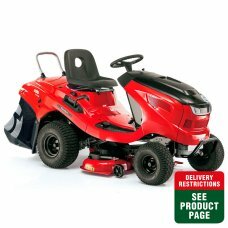 All sizes of Lawn tractor are available with models suitable for smaller areas of ½ acre up to 2-5 acres of land. Different cutting widths are available and most lawn tractors come with built-in grass collection and/or dedicated mulching decks to recycle grass cuttings. Attachments are also available – just call us to discuss your requirements. 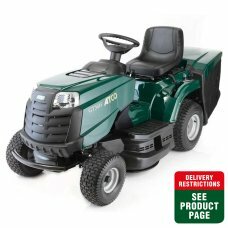 We always aim to offer you the very best deal we can when buying a lawn tractor. If you are local to Melksham, Wiltshire call in at our showroom or if elsewhere in the UK, give us a call for no obligation chat. 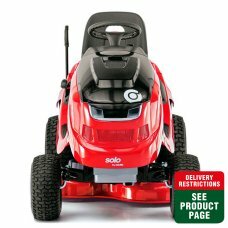 Maximum comfort - simple and clear operationConvenient grass collector emptying via telescopic lever..
•	Powerful lawn tractor that’s designed for large lawns up to 2 acres •	Powerful, twin cylinder..
•	Powerful lawn tractor designed for lawns up to 2.5 acres •	Powerful, Kawasaki engine for smoo..